Throughout my career – in academia, corporations, and entrepreneurial ventures – I’ve seen thousands of businesswomen make significant personal sacrifices to prove themselves professionally. At first, they expect to give up relationships, health, or a passion only temporarily, “just until” they finish a certain project, receive a sought-after promotion, or achieve some other goal. Often when women reach that initial milestone, however, they quickly replace it with a new one and, ultimately, the temporary sacrifices continue for years upon years. In an attempt to be perceived by others as successful, these women are neglecting the aspects of success that matter deeply to them. It’s my goal to help businesswomen break this pattern or, even better, prevent it. As a mentor to women entrepreneurs, I’ve observed that Brilliance-Based Businesswomen™ (experts, consultants, and others with businesses built on their creativity and knowledge) seem especially challenged by the concept of briefly pausing work to take care of themselves. Perhaps that’s because when you’re self-employed, no one gives you a performance review, a raise, or an A+, so it’s up to you to declare your own wins. And a Brilliance-Based Business™ depends on its founder personally serving her clients, so it’s easy to fear that if you step out of the office, business will be lost. Yet it’s essential that you cultivate your well-being. Otherwise, at some point, you may no longer be able to deliver your services at all. The antidote to professional burnout is living fully as an entrepreneur: defining success for yourself and committing to achieving it on your own terms. Your Unique Definition of Success™ includes your priorities, needs and values. If these standards aren’t met, you’re not living up to your full potential as a professional or a human being. What do you want your priorities to be in this phase of your life? What expectations from others are conflicting with achieving success on your terms? What expectations do you have of yourself that are counterproductive for you? Every person’s recipe for success is different. Having it “all” is possible, but usually not all at once. I’ve found that articulating success for yourself is necessary for achieving balance. Once you do, share with your loved ones your Unique Definition of Success™ and plan for achieving it, and ask them to support you. Then, share your new practices with your team members and invite them to engage in their own inquiries. By doing so, you’ll feel better, lead by example, and improve the work environment for yourself and others. 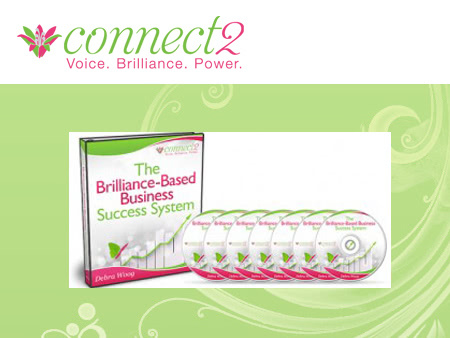 Debra Woog, creator of the Brilliance-Based Business Success System™ , guides women entrepreneurs to accelerate their success with profit-enhancing marketing, technology, management and personal best practices. Debra earned her B.A. in Psychology and American Studies from Wellesley College and an MBA from the MIT Sloan School of Management.